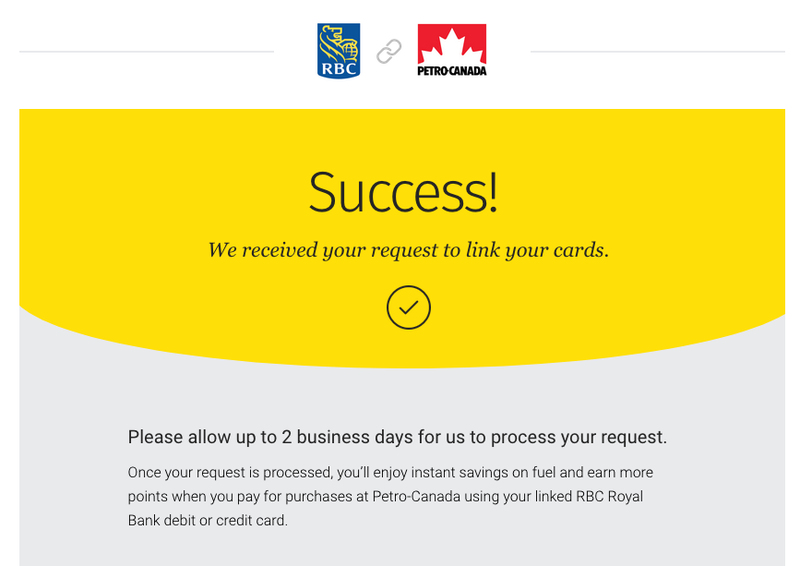 Two weeks ago the details were released about RBC's and Petro-Canada's latest offer and expansion of their partnership. Compared to the last offer that ended yesterday providing a 2 cents per litre discount the discount now becomes greater however you need to tie your cards together from RBC and Petro-Points unlike the previous offer where you just swiped your card to get the discount. 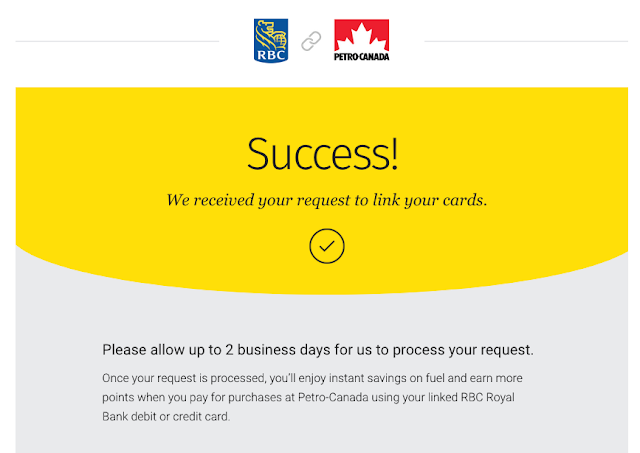 This means you have to become a Petro-Points member and link your RBC Credit or Debit card to that account. Not a huge deal. "You will continue to get points on any of our Petro-Points partners that you have linked your cards up on, the points will be calculated on the base spend." It looks like you'll continue to earn all the bonuses and points from all linked cards. 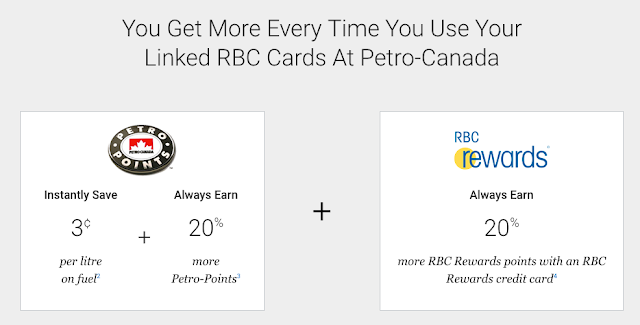 Currently I have More Rewards, HBC and SPC linked to my Petro-Points card. I add edmy WestJet RBC World Elite MasterCard today and that should mean I'll get the 20% bonus Petro-Points three times (RBC, SPC, HBC) and still collect the More Rewards points as well, not to mention saving 3 cents per litre if I choose to use the WestJet card for those purchases but that may be tough as my American Express Gold Rewards card still provides better value than the 3 cents off especially with the jump in prices at the pump we experienced today. Link your cards here today!